Timbuktu! The mere name conjures up images of an exotic, remote location in the middle of the desert. The smell of spices, the chatter of foreign tongues, caravans traveling to and fro, all these thoughts create a romantic mystique. The city is legendary in the Western mind, yet the reality of it remains hidden to us. 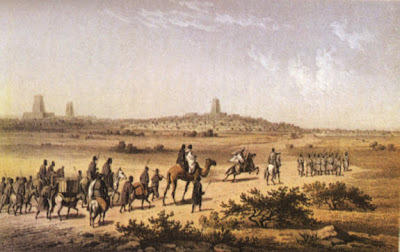 Traders headed for Timbuktu. Artist unknown. 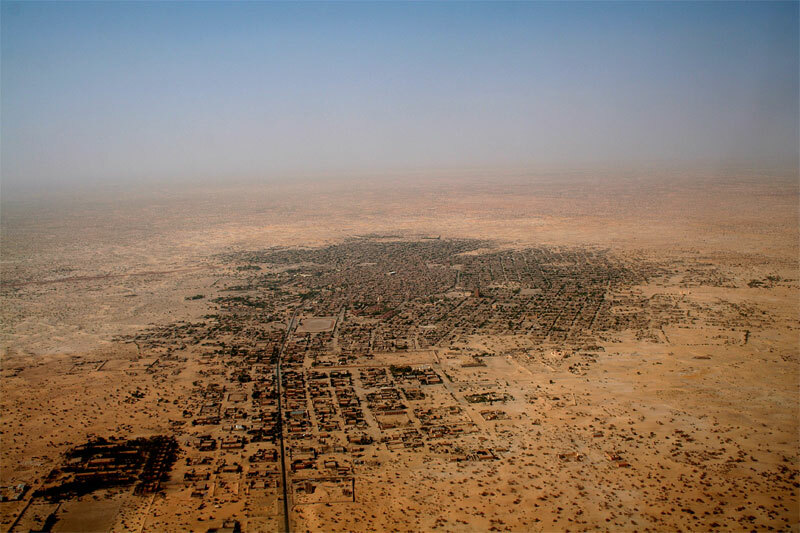 Timbuktu has a long history as a trading center. it was a natural convergence point linking African peoples with Arab, Berber, and Jewish traders in North Africa, and through them indirectly with European traders. 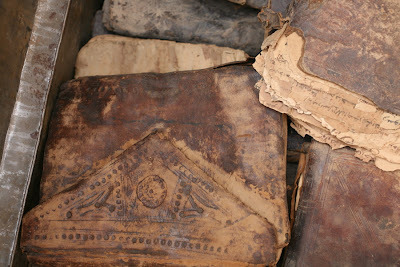 A cache of stored manuscripts. And at its peak it was it was known as a city of books. Manuscripts showing mathematics and astronomy. Home to a prestigious university thought to be one of the first in the world, Timbuktu functioned as a center of Islamic learning, attracting scholars from Alexandria, and Baghdad, and Mecca. Books and manuscripts were valuable merchandise, and scholars collected them for their libraries from the lively book trade. These private libraries, some no more than a row of shelved books, are now part of the sixty libraries thought to be in existence today. "The Important Stars Among the Multitude of the Heavens"
These libraries form a collection of approximately 700,000 manuscripts. Some scholars believe there are still 300,000 to 700,000 more in the territory. 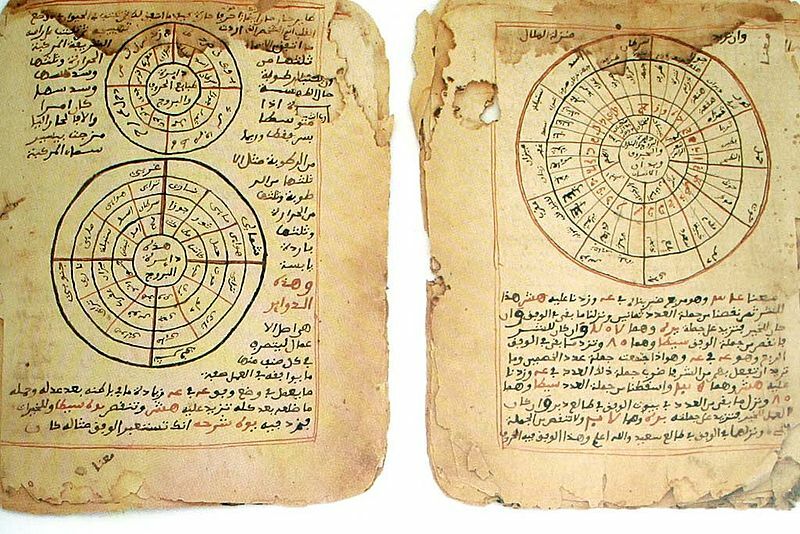 Many of these valuable manuscripts were handed down as family secrets for generations. 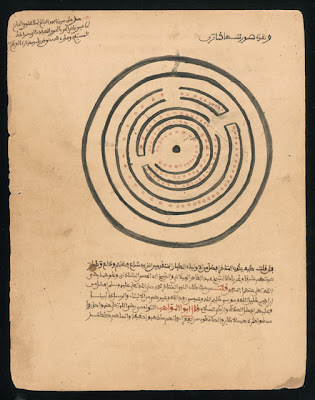 Although teaching was done within the three mosques that once comprised the university, many scholars taught in their own homes, using their own libraries. 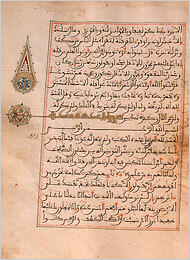 A copy of the Koran from the 12th century. for a Moroccan king with gold. 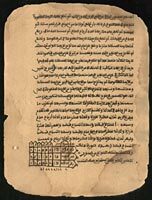 There are basically three types of manuscripts extant: purchased manuscripts from North Africa, the Middle East, and Andalusia; copies of manuscripts reproduced in Timbuktu; and original manuscripts composed in Timbuktu. Most of the manuscripts are written in Arabic, but some in local languages using Arabic script. 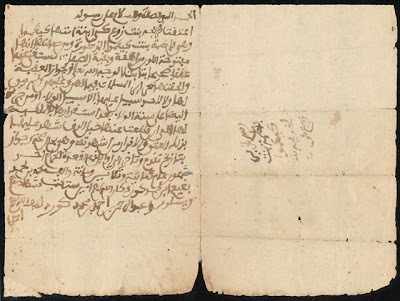 Many manuscripts include marginal notations that are valuable as insights to a scholar’s thinking. Certificate of emancipation for a female slave. gives a detailed physical description of the woman being freed. 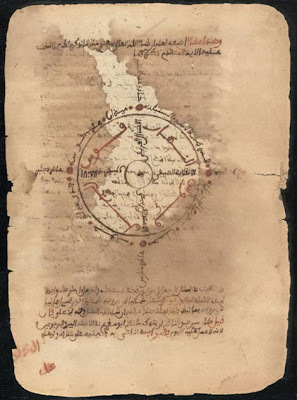 Subjects addressed by the manuscripts cover a wide variety of subjects, from religious texts, theology, philosophy, and poems, to legal documents, Islamic law, math, science, and music. "The Spear of the Merciful Against the Throat of the Reviled"
There are three major mosques extant today – Djingareyber, Sankoré and Sidi Yahya – and all of them are on UNESCO’s world heritage list. 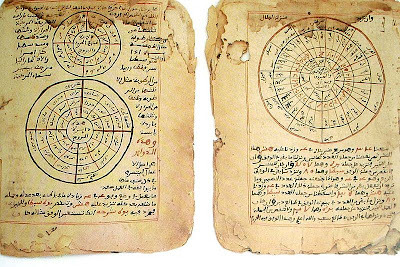 Begun in 2008, the Timbuktu Manuscripts Project serves to catalogue and conserve the manuscripts, as part of UNESCO’s Memory of the World Programme and a NEPAD (New Partnership for Africa’s Development) Cultural Project. 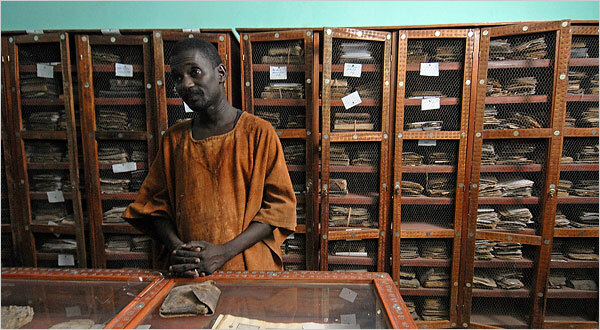 Ismaël Diadié Haïdara with collected family manuscripts. The Library of Congress began digitizing Arabic manuscripts from Timbuktu, working with scholars, manuscript owners, and government officials of Mali. 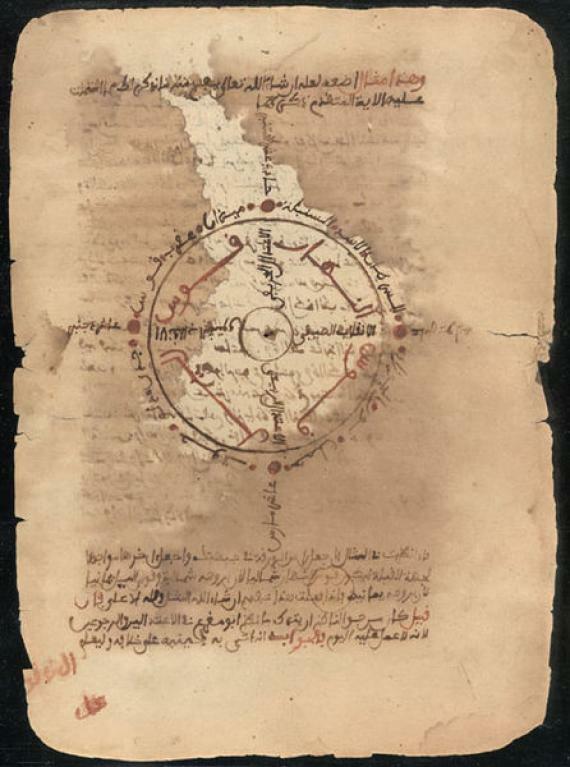 In 2004, the LOC began a cooperative project with the Mamma Haidara Commemorative Library on the WWW, making it easier for scholars to have access to these important manuscripts. The Mamma Haidara library is the result of generations of book collecting by the Haidara family, and contains more than 5,000 manuscripts dating from the 16th century. 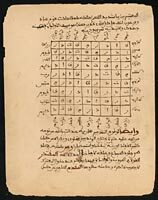 "Explanations of the Problems in Arithmetic with Examples"
mathematician. This text was used extensively by students. 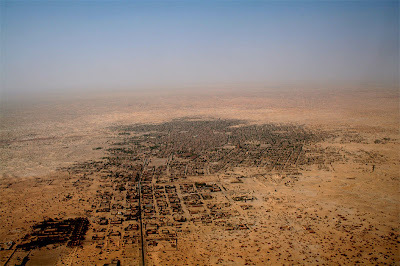 "Curing Diseases and Defect Both Apparent and Hidden"
For centuries the name Timbuktu has been a metaphor for the exotic. Now it is a metaphor for ancient learning and the manuscripts thereof. 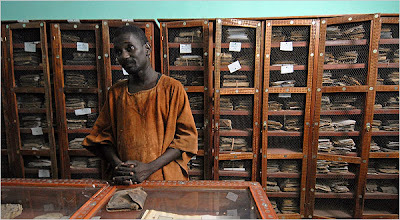 All images, unless otherwise noted, are from the Mamma Haidara Commemorative Library, Mali. Very nice. Always wanted to go there.